Our "book club" had dreamed of this vacation for a long time and we were thoroughly enjoying it. I had been down in Mexico studying and the other 3 flew down to join me at the end of my semester. We drove up the coast about 20 minutes from Zihuatanejo, where we were staying, to Ixtapa. We had just seen this one-eyed man feed the salt water crocodiles and he let us hold a "baby" one that kept hissing at us. Looking back, I realize this man had no "business" of any kind, he was just a random person who jumped the fence into the crocodile enclosure. Viva Mexico. We left that adventure and walked to the beach to get some rays. After a little while, we decided to get into the water. We waded in and were having a good time talking smack, laughing, and just goofing off. Next thing I know, Armando and I are farther out than Cassy and Janet and I am farther out than Armando. Not good. It all happened so fast but in slow motion at the same time. I looked over my shoulder and saw a monster wave. I was petrified. I looked back at Armando who was reaching for my hand. I tried to reach for his hand but the distance between us kept getting greater instead of smaller. No matter how hard I tried, I could not get to Armando. I couldn't even hear what he was saying to me. I could feel the wave pulling me into it and before I knew it I was was under. I don't even remember having time to get a good lung full of air. I had absolutely no control of my body. I was tossed around like a rag doll in a washing machine. I felt myself doing somersaults and every time I tried to get a sense of direction, I was pushed back down by the force of the water. I felt myself hitting sand. Sharp objects punctured my foot. I was panicking, terrified, and then I guess my sense of survival took over because I opened my mouth in desperation to breathe. What used to be dark started to become light. What used to be an extreme sense of fear all of the sudden became this sudden sense of peace. I remember having this INTENSE feeling of calm...I thought, this is it. Today I am going to see Jesus! It really was so strange that all the fear left me. Apparently, there was a riptide in effect, hence, the black flag. What made this situation worse was the size of the waves. My wave actually took me under and because of the force of it, I couldn't get out. My friends said they thought I had drown and then I shot out like a rocket. We surmised that the force from another wave crashing down at just the right place is what catapulted me out of the cycle I was in spinning around and around. I still have a scar on my ankle from whatever cut my foot. What does that story have to do with my life? This autumn has felt like a riptide. I started the school year with what seemed like a beautiful, little life. And then a monster wave hit. And kept hitting, and hitting, and I've felt like I've been that rag doll being tossed about in a washing machine, unable to get my breath and not yet able to reach that place of calm and peace. 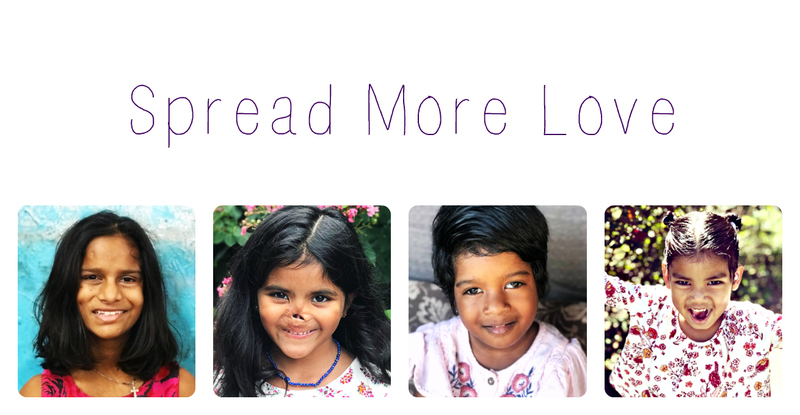 -School for Munni has been a harder transition this year. She was in kindergarten last year for 5 weeks and it was a wonderful experience for her. First grade, not so much. I would say that not being able to read yet is her biggest frustration. She is in Montessori so she is grouped with 1-3 graders. She does not like to feel different so the fact that her English is still a little behind the others is a point of frustration for her. - I found out a child was hitting her at school. Well, it was actually during the time when they are waiting to go to the after care program. What makes it worse is that it is a "friend." This has so many layers to it due to her history. I was extremely stressed out about how to handle this. - I also found out that a child was making all kinds of racist comments towards Munni. Um, at this point, Miss Sally had to restrain me because I was about to go Loca on that little terd. - We had a week straight of medical appointments. I made everyone cry at those appointments. I was crying. I thought, if one more person tells me that something else is wrong with Munni I'm going to freak the bump out on them. I'm tired. I'm tired of things "surfacing." Don't get me wrong, I want Munni to be healthy. That's ALL I want. I think that's why I'm so frustrated because her little body has been through so much that I just want it to be over and let's move forward already. - She is supposed to have another surgery that was going to involve 4 departments so I wouldn't have to put her under again multiple times since she's already been under 3 times this year. We spent all summer setting up consultations with the departments and paying the stupid speciality co-pays only to have 1 department say they are out that it's really another departments area and to have another department's portion denied by insurance because it's considered "cosmetic" thank you very much. I do not think very highly of insurance at this point and time right now. Munni has suffered enough and now she gets to deal insensitive people who ask her about her scar on her scalp. I know it's not a life or death situation but I also know her whole story and for her emotional health, I want this done for her. - She had a seizure and has had some fainting spells. We have no idea why. It could be the Tuberculosis was in her brain, it could be anything. Since the Tuberculosis did spread systemically, we have no idea which organs it attacked in her body. We know it attacked her eye, but other than that, we don't know. She was on the most aggressive treatment so if it was in her brain, it could be that it was an abscess that could have broken loose, or could have been an infection, or it could have been low blood sugar, or it could have been that her body has been in a state of "fight" for so long and now that it knows it's in a safe place, things are starting to "relax." Anyway, we have an appointment with the neurologist to get a CT scan or MRI of her brain to get a better idea of what may be going on in there. - In the midst of all of this I have felt this space between God and me and I hate it :( And I know it's not him, it's me and it's because I'm so frazzled. I've realized that I put this insane amount of pressure on myself to be this great, unattainable mom. Pack the perfect lunch! Have the perfect schedule! Keep the house clean and tidy! Have perfectly planned fun, pintresty activities for each day! Have the weekly meal plan posted on the fridge with the shopping list organized by categories laminated by week! Work out 5 days a week! Smile, smile, smile! I sent Munni to school commando the other day because she didn't tell me she was out of clean underwear. I made her wear leggings with her skirt that has built in shorts. Sometimes, we eat cheese popcorn for dinner. I may or may not have let her watch Keeping up with the Kardashians with me. If you walked into my house today, you would wonder why we aren't on an episode of "Hoarders." My reality is that I am a single mom. I need to give myself some grace. I need to prioritize. I know what's most important to me outside of my relationship with Christ is connecting with Munni. Last weekend she wanted to know if she could go to my mom's house. I told her no that I wanted her to hang out with me. She said, "You and me spend the whole weekend together? That's a good idea!" I told her, "Yes, Munni Bird, that is a GREAT idea!" When she is older, I want her to remember our snuggles and our connection times. I know it's so cliche, but it really is what's important. We had our home study visit for the update for Baby R. My social worker could not believe the change in Munni. As in, she was dumbfounded and kept saying over and over how she couldn't get over how happy Munni is and the sparkle in Munni's eyes. Hearing that is a reminder to me of what R has waiting for her :) The last pictures I have of her she is crying. I know it's probably because she didn't want to get her picture taken but still, she has a family waiting for her. We are VERY excited for her to come home! I am almost finished with updating the few pieces I needed in my dossier and my home study. I hope to be able to file my immigration paperwork mid-Novemeber. Here comes the crazy part. After reading about how chaotic my life has been, you will probably think I need to be wearing a straight jacket. 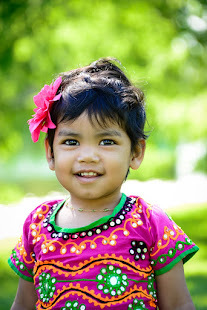 Health For Orphans is willing to sponsor Munni and Baby R in the Disney Tinkerbell Run. This means that whoever signs up for the Disney Tinkerbell Run and raises the $500 TAX- DEDUCTIBLE fundraising minimum, that money will go towards Munni and Baby R's surgeries (remember when I told you that my insurance denied Munni's surgery?) Anyway, here's the problem. Health For Orphans is a non-profit. They had to reserve 30 spots. We only have 4 runners registered. We need 26 more registered by November 1st or it's a no-go because Health For Orphans can't pay the $6,000 registration fee up front. There are several ways to do this. If you are a runner, will you consider running? Munni and I will be there in Disneyland if we get all these spots registered! Are you not a runner but want to "participate?" You can be a "virtual" runner! All you have to do is register online and at the estimated time of finish box, write "Virtual" so we know you are a virtual runner. We are going to contact some high schools in Southern California and try to get some of the girls cross country teams to run for the virtual runners! When Nicole (the founder of Health For Orphans) and I were talking about this, I told her straight up that it was my fear that was holding me back and not trusting that God could bring 26 runners forward to run this race for Munni and Baby R. I know He can do it if this is the way He wants to provide for their surgeries. I also know that he can bring more than 26 runners. So if this is something you are interested in or someone you know who would love to run a Disney race, please pass this information on to them! You can no longer just register through Disney as the race itself is sold out. You can only register through a non-profit. 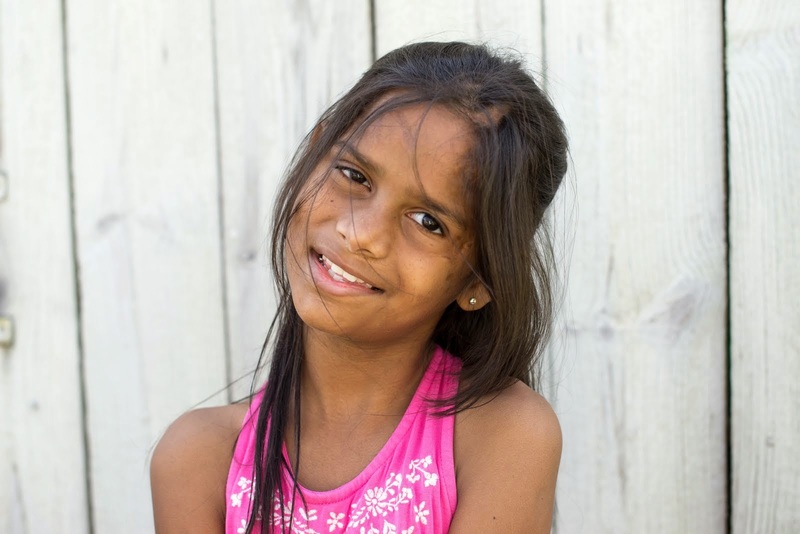 Health For Orphans has the lowest fundraising requirement at just $500! I know some places of business have matching funds so this could be a great way to reach the $500! 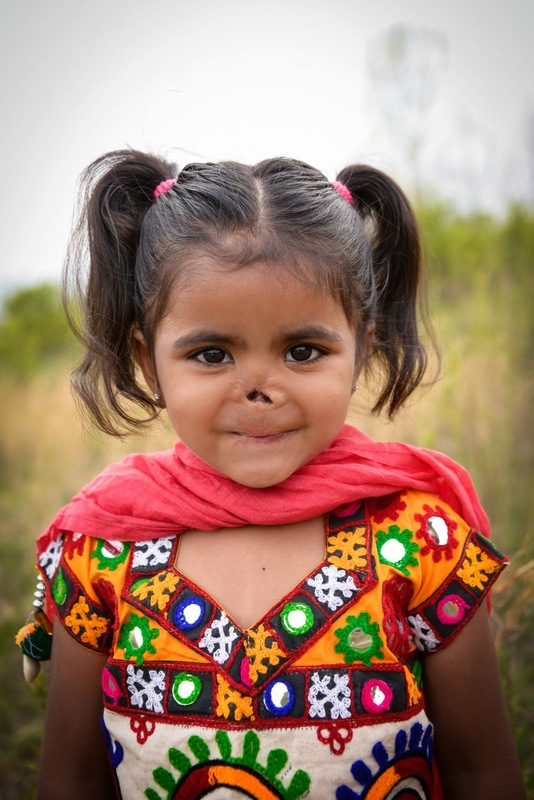 And think, you are giving a sweet baby girl a NOSE and repairing Munni's scalp from a burn she never should have suffered. Let's Run to Spread More Love!! You can register HERE for the Disney Tinkerbell Run! Welcome to Motherhood! Single parent or not..your life will never be calm again! Pick your battles, make your priorities, and remember it's all worth it in the end. Kristen, you are doing an amazing day -- even on (especially on!) the cheese-popcorn-for-dinner kinds of days. The mere fact that you are completing adoption paperwork, teaching, mothering, fundraising ALL AT THE SAME TIME is nothing short of amazing. Just wanted you to know that I am cheering you on and praying for you and Munni and R, especially with the school issues. Sending you love! I had missed this too, somehow! I am praying! !